Imagine a high-performing alpine boot cut off above the ankle, as if by guillotine. Viola, you now have a shoe, not a boot. You can’t tell yet, but I’m fawning over this shoe. Imagine a high- performing alpine boot cut off above the ankle, as if by guillotine. Viola, you now have a shoe, not a boot. This is seemingly what Lowa did when they created the Lowa Pro GTX Lo, by adding the “Lo” to their Lowa Pro GTX, their namesake alpine boot. Checkmate. 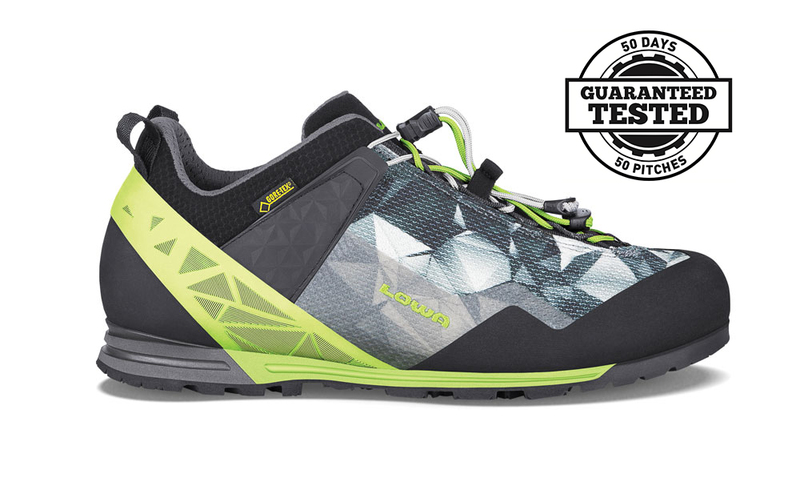 The Lowa Pro GTX Lo is a tank of an approach shoe—durable, dependable, with Gore-Tex lining, a not over-treaded sole, and uppers that withstood every environment I put them in: trad cragging, talus hopping, alpine approaches that began in wet, bushwhacked forest only to, 4,000 feet later, dump you out into a snow and ice field peppered with granite blocs. Stiff underfoot, this shoe inherited (from its bigger brother) a bomber casing around the heel and a sole so strong that, should you stand on a pebble an inch in diameter, you’d hardly feel where the stone is underfoot. Yes, I tested for that. Not one to overdramatize, I will say the dual quick-pull lacing system was a wise addition; you can customize the upper and lower fit. At just under 2 pounds, this shoe will climb 14ers, replace a hiking boot for most occasions, be happy in a strap-on crampon, and get you up technical ridges all day long. One thing that irked me is likely personal—either I have wide feet (unbeknownst to me) or the GTX Lo is narrow. Probably, the truth is in the middle. 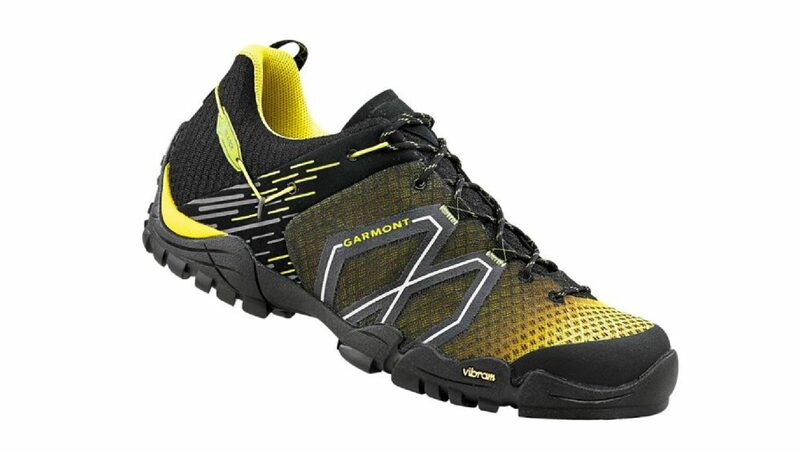 The fit for this shoe is performance-oriented, and while it may feel a bit tight on the approach, you’ll be happy on the opening 5.5 pitches, since you can keep this shoe on for those. The cushion is spartan, but what you lack in cushion you gain in precision on technical ground. The toe cap has ample rubber for cracks and the synthetic upper fabric is, according to Lowa, “abrasion resistant.” That’s right. The Pro GTX Lo is the hard-working utility shoe. One down side is expense. This shoe isn’t cheap. At around $225, it will be one of the spendier approach shoes, but it can’t be said Lowa didn’t put their best foot forward. PROS: Resolable, durable, and with speedlace system. CONS: Expensive, but worth it. 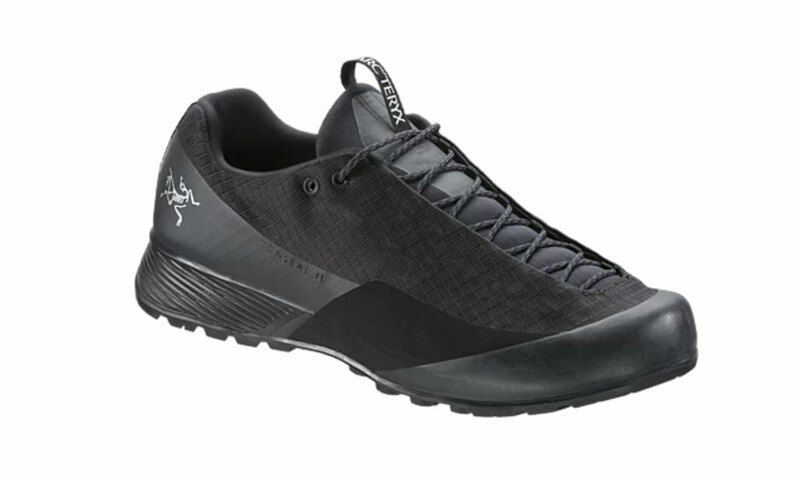 BEST FOR: Alpine approachs, hard hiking, scrambling.